Crimson and Clover is a 1968 song by American rock band Tommy James and the Shondells. Written by the duo of Tommy James and drummer Peter Lucia Jr., it was intended as a change in direction of the group's sound and composition. 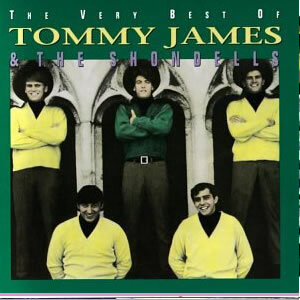 Tommy James made a rough mix of Crimson and Clover to show to Roulette Records executive Morris Levy for evaluation. The band was still intending to improve on the mix with ambient sound and echo. A few days later, James stopped at WLS radio station in Chicago – who he had previously had positive experience with – to get their reaction. After an interview discussing the single, he was convinced to play the rough mix for WLS off-air. Unbeknown to James, the station recorded the song, and they shortly played it on-air in November 1968 as a world exclusive. Morris Levy initially pleaded WLS not to play the record prematurely before its release, but listener response changed his mind. Roulette Records produced a specially pressed single and shipped it to listeners who called about the song. Eight hundred copies of the song were also sent to WLS for promotional purposes. Levy refused to let James produce the final mix he wanted, and the single was released using the rough mix, with Some Kind of Love as its B-Side.